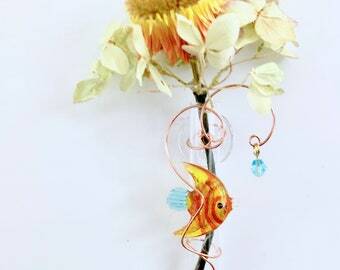 This is a unique hand crafted, hand colored metal watering can placed on a 3 inch glass vase to which a suction cup is permanently attached. A yellow metal enameled flower with a rein-stone center sits below the watering can. 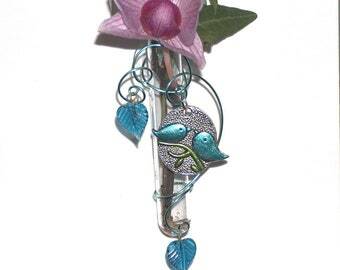 A glass lady bug bead dangles above the vase from copper colored wire. Place fresh flowers and water into this vase for a cheery addition to a kitchen window or a powder room mirror. A slight smear of oil or Vaseline will hold the suction better than a lick or water. The oily material will stay moist and is thicker to seal the suction better. 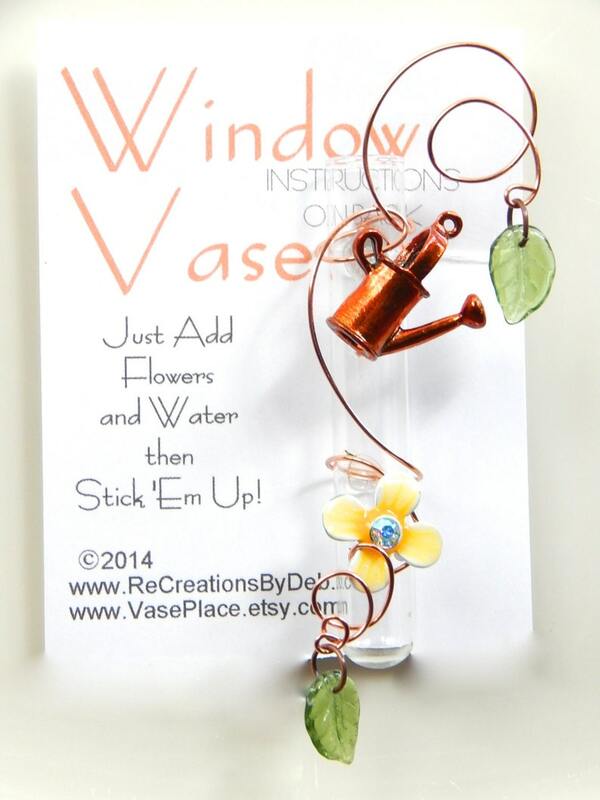 All window vases are repaired cost-free. If the vase becomes damaged, return the jewelry pieces and receive a brand new vase in about 1 week to ten days. Please include $2.00 return postage.